Dr. Poulos specializes in cosmetic breast surgery and body contouring procedures. 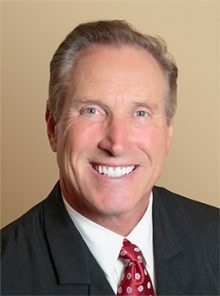 He helped pioneer the quick lift facial rejuvenation surgery in California and is recognized as one of the leading plastic surgeons in Marin County and the entire San Francisco Bay area. Dr. Poulos and Plastic Surgery Specialists have extensive experience in body contour procedures. A graduate of the University of Texas Medical School, Dr. Poulos completed his internship and residency at UC San Francisco. He completed a plastic surgery fellowship at St. Francis Hospital in San Francisco and is certified by the American Board of Plastic Surgery. For more information, click here.